Carraway (Wrightsville Beach, N.C.) didn’t post back-to-back first-place finishes as some of his teammates, but his 2-5 in the largest class in the fleet (58 boats) was every bit as impressive. 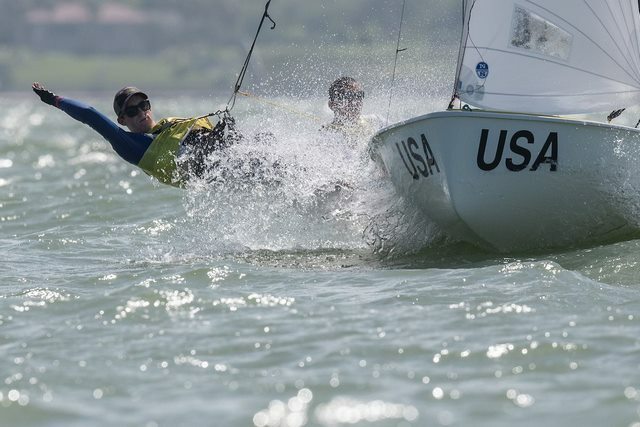 The Boys’ Laser Radial is always one of the most hotly contested classes at this regatta, and Carraway has been steadily climbing the leaderboard since Day 1. 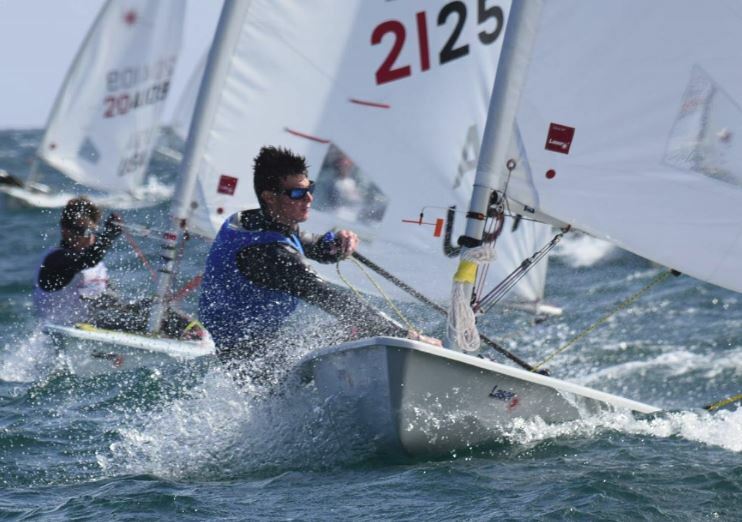 Carraway has now posted three consecutive top-five finishes to climb into fourth overall, 10 points behind leader Josh Armit of New Zealand but only 1 point behind third-placed Zac Littlewood of Australia, the reigning Men’s Laser Radial World Champion. Carraway echoed many in the fleet who have said that the windy and choppy conditions of Corpus Christi Bay have taken some getting used to. But he feels that he’s finding his groove and is clearly excited for the final three races scheduled in the class. “I’m starting to get my bearings for the venue. It’s definitely different than any other place I’ve sailed before,” said Carraway, whose simultaneously anxious and nervous parents are watching from the shoreline. “I’m getting in the groove upwind and downwind and going as fast as I can. The steep chop is tough. I’m used to sailing in the ocean with rolling waves. It’s definitely different; the technique is a lot different than ocean sailing. It requires a lot of small adjustments. Being precise is key,” Carraway said. At the mid-point of a physically and mentally taxing regatta, Carraway is looking forward to closing out with a push onto the podium. While Carraway made a nice move up the leaderboard, other American teams started putting a stranglehold on their classes. JC Hermus (Bellport, N.Y.) and Walter Henry (Syosset, N.Y.) won today’s two races in the Boys’ 420 Class and now lead by 5 points over second-placed Otto Henry and Rome Featherstone of Australia. The duo won both races by very comfortable margins but they’re not losing their concentration despite not really being challenged. Their teammates in the Girls’ 420 Class, Carmen and Emma Cowles (both Larchmont, N.Y.) also won two more races. They now lead their class by 9 points over Vita Heathcote and Emilia Boyle of Great Britain and Spain’s Julia Minana Delhom and Silvia Sebastia Borso di Carminati, who are tied for second. The Cowles twins are also winning races by a handy margin. According to Hermus, the two crews spent time training prior to this regatta and discovered a few tricks. 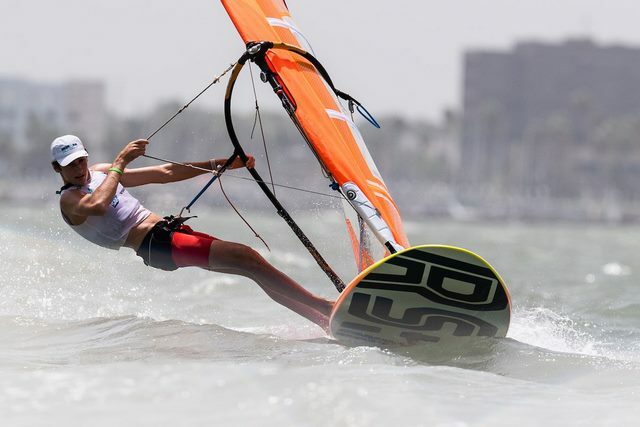 In the Boys’ RS:X Class, Geronimo Nores (Miami Beach, Fla.) continues to set the pace that he established on Day 1. Nores finished 1-1-3 today and leads the class by 5 points over Italy’s Nicolo Renna. 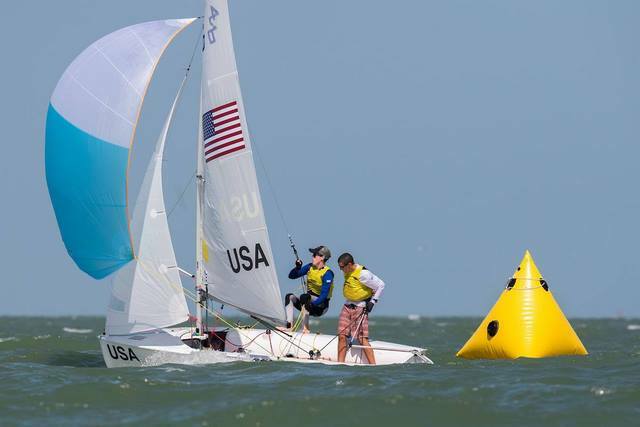 The 6-foot, 6-inch sailor believes his height is an advantage in the windy conditions. 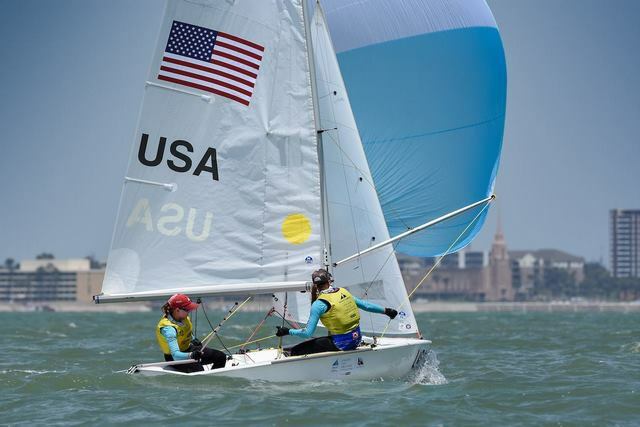 Charlotte Rose (Houston, Texas) also had another solid day in the Girls’ Laser Radial Class. She finished 1-2 and leads Emma Savelon of the Netherlands by 5 points with three races to sail. 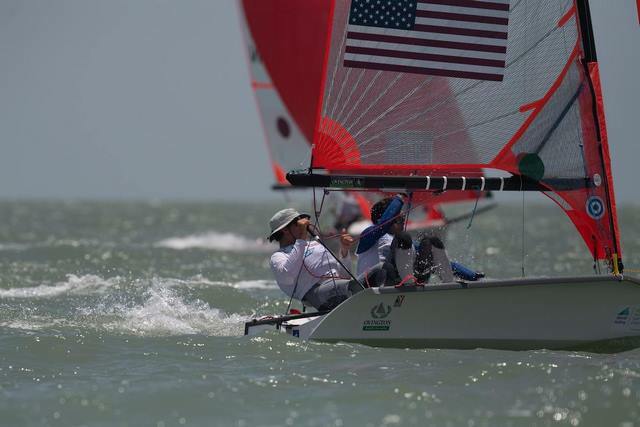 In the Girls’ 29er Class, Berta Puig (Miami, Fla.) and Bella Casaretto (Fort Lauderdale, Fla.) added a 9-2 to their scoreline and remain in third place with 37 points, 19 points off the lead and 16 points behind second place. 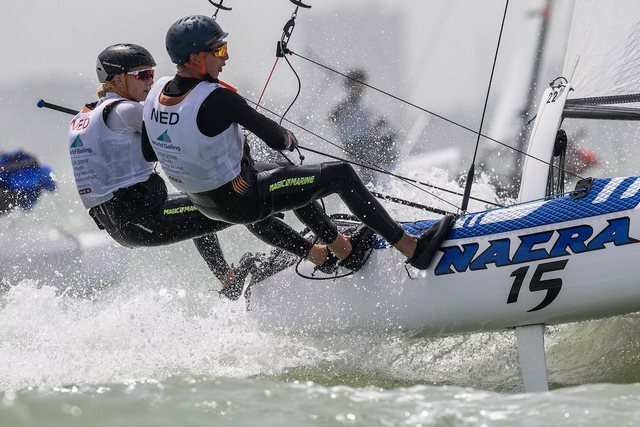 In the Nacra 15 Class, Nico Martin (Houston, Texas) and AnaClare Sole (Houston, Texas) were lined up for a good finish in the first race when they capsized just before the finish line. They posted finishes of 17-9-11 on the day and hold 10th place overall in the multihull class. In the Girls’ RS:X Class Dominique Stater (Miami, Fla.) holds 13th place. 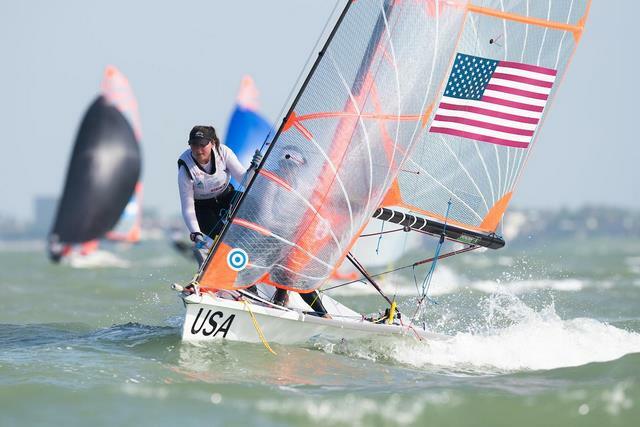 In the Boys’ 29er Class, Charlie Hibben (Concord, Mass.) and Nicholas Hardy (Newton, Mass.) are placed 17th overall. Racing is scheduled to continue tomorrow with 23 races planned among the nine classes.